On the day that the Outlaws GM announces the dates for our guild Christmas party and Secret Santa gift exchange what do the OUTLAWS do? 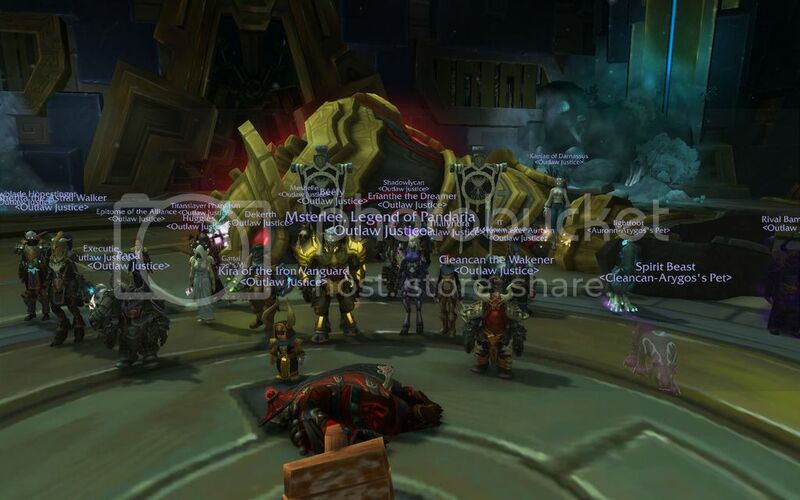 The OUTLAWS go out and give the GM a very early Christmas present and drop MYTHIC TALOC! IN ONLY 2 ATTEMPTS!! WOW THIS GROUP NEVER STOPS! Keep up the great work OUTLAWS! !